The money for such places comes from the duty-free industrial zone created by the military government that seized power in 1964. At its head was Humberto de Alencar Castelo Branco, president of Brazil. Could you trust him? João Goulart thought so; Branco had been his chief of staff until one fine time leading the coup that toppled Goulart. 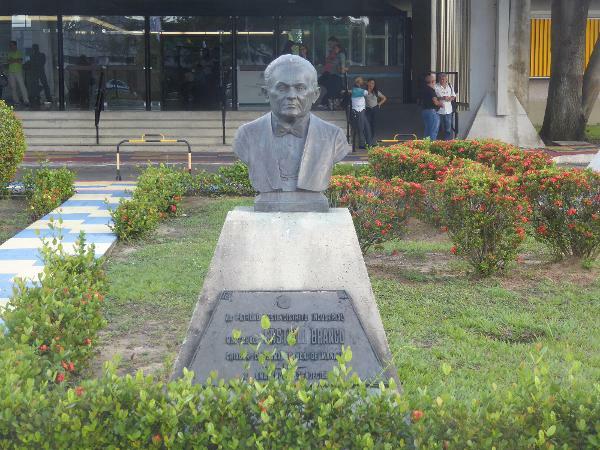 The bust sits in front of the office of Suframa, the Superintenencia da Zona Franca de Manaus.